Retired SketchUp Blog: Calling all teachers: Help! Alright folks – I need your help. I'm traveling to Tokyo next week to give a speech for 1000 Japanese primary and secondary school teachers. I want to show them some examples of interesting things people are doing with SketchUp in K-12 education. I know there's a ton of math, history, geography, architecture and other great stuff out there, but I don't meet enough teachers in person to collect it myself. 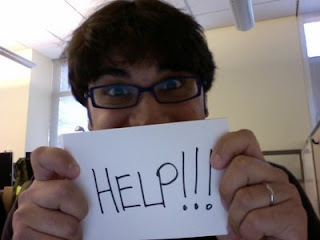 Please send whatever you've got to sketchupblog@gmail.com by Friday of next week. Thanks! I'm an italian math teacher in Florence, Italy. I've been using sketchup with 13-year old students as a work on solids. (4 months in two different classes). I hope you find these works useful. Mi nombre es Rene Torres Visso, Utilizo Sketch Up para los alumnos de 3ro de Secundaria como complemento de apliaciones orientadas a Diseño Grafico, es una excelente alternativa para la modelación en 3D dado a las limitaciones de hardware que tenemos, Sketch Up nos ha permitido implementar toda una nueva gama de posibilidades de arte 3D. It is very interesting article and quite impressive and more informative and looking forward to read such article. Please come visit my site Arlington Yellow Page Business Directory when you got time.